We weigh in on ESM Goh Chok Tong’s assertion that paying high minister salaries is needed to ensure Singapore has access to the largest possible talent pool. It’s no secret that the Singapore government is among the best paid in the world. The narrative has always been that this policy attracts the best talents. Join us as we discuss whether this is always the case. 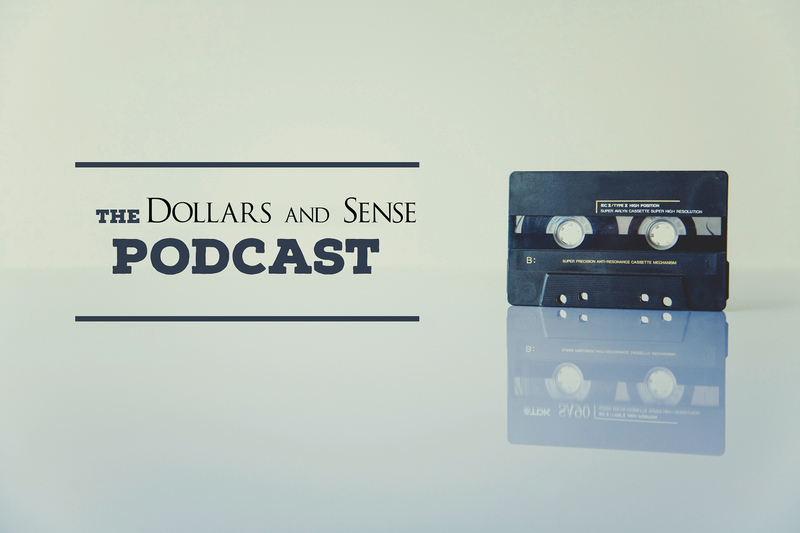 Welcome to Episode #2 of The DollarsAndSense Podcast. In this episode, host Dinesh Dayani speaks to Timothy Ho, DollarsAndSense Managing Editor, and Sim Kang Heong, DollarsAndSense Editor, to discuss why equating salary to talent is only a small part of the story, and how there are so many other ways to determine a person’s value and talent. Without jumping to conclusions about what he really meant, we thought it was interesting to discuss whether a person’s value is reflective of what he is being paid. In Singapore, we are trained to think that the richer or higher-paid a person, the more talented the person is. This starts from as young as when we were in school, smart students always get the best grades and poor students get mediocre grades. We tend to look past other factors or even areas of proficiency such as a student’s musical or sporting talents. This may extend to how we think when we grow up – talented people get the best pay and not-so-talented people don’t, and we look past other characteristics. However, there’s so much more than just how much an individual earns. Firstly, self-worth should never be associated with a person’s salary. If someone earns four times of what you earn, he is not four times more valuable than you. Even within the earnings argument, the most talented people in one industry simply cannot compete with the most talented people in another industry. Taking sports for example, there’s no denying that Cristiano Ronaldo and Lionel Messi are the most talented footballers earning some of the highest wages in the game. However, are they more talented than Lin Dan or Lee Chong Wei? These guys are at the peak of their sport, badminton, but earn a fraction of what the most talented footballers earn. Similarly, the most talented engineers, teachers or social workers will just never earn as much as the most talented lawyers and doctors. Does this mean they will be looked over when it comes to deciding who should be in the government? This way of thinking will only limit the worldviews we have in parliament. Another interesting thing to note is that the technology behemoth Apple usually pays its employees a lower salary than other tech giants. However, this definitely has not left it with only mediocre talent. In fact, it can be argued that the are able to pull in the most talented people because of the value proposition of working in Apple and working on industry-leading and groundbreaking projects. This is another hard question the government must ask themselves. Can they pull in talent or do they have to dangle carrots, such as a high pay, to get good talent into government? Another point to note is that the best talents may want much more than salaries, they may want to work with a good company and do fulfilling work. ESM Goh Chok Tong also brought up current Minister Edwin Tong’s decision to take a pay cut to join the government. While we are lucky to have him in our government, we should not be thanking him for taking the pay cut. We hope that he is joining a cause which he strongly believes in and thinks he can contribute positively to, while still being paid a salary that is within the top 1% of earners in Singapore, despite the pay cut. Lastly, we have many other successful countries with low corruption rates that we can study. The Scandinavian countries offer some of the highest quality of life to its citizen yet do not have to pay the highest pay packets to its government. What do you think? Let us know at [email protected]. If you haven’t already heard our first episode on early retirement, do check it out. In order not to miss future episodes, be sure to subscribe to our podcast using the steps below. Read Also: The DollarsAndSense Podcast Episode #1: What Is Retirement, Anyway?